Templates to illustrate SWOT analyses in PowerPoint presentations. The SWOT Analysis implements environmental analyses and standard strategies in a set of professional PowerPoint templates for determining the position of one's company. The SWOT Analysis is a strategic management and marketing tool for describing entrepreneurial strengths, weaknesses, opportunities and threats. The SWOT Analysis is quite versatile, but it primarily determines the position of one's company in the industry as a whole. For this purpose, both, the company's internal factors (strengths and weaknesses) and external factors (risks and opportunities), are analyzed (whereas both areas correlate with each other). As a component of a business plan, this analysis is used by the company to leverage its strengths and opportunities as well as minimize weaknesses and threats in order to maintain its competitive image in its industry for the long run. Incorporate the SWOT Analysis in the areas of strategic management and marketing as a basis for specific management development and marketing strategies. 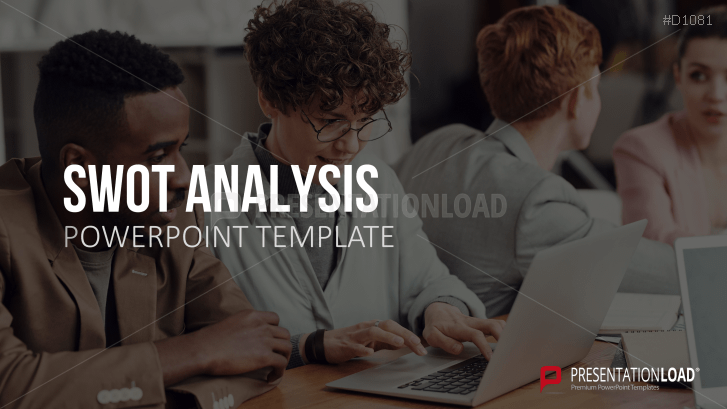 Take advantage of these PowerPoint templates to filter out the strengths and weaknesses of your company and its employees. Identify these by using interactive questions listed in the presentation. Combine different dimensions with the development of standard strategies (SO, WO, ST and WT strategies) and cultivate further possibilities for action.